It has been my observation that many patients describe a stressful event preceding the onset of their autoimmune disease. 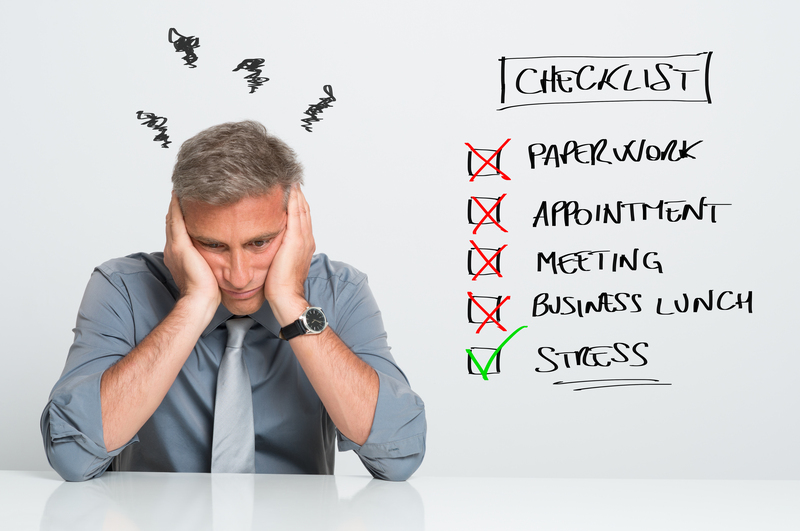 The stress could be the death of a loved one, marital conflict, or job loss. These events are just a few of those that have been listed, validated and ranked on the Holmes and Rahe Stress Scale, a standardized tool used to determine the likelihood that one’s level of stress may contribute to the development of illness. It is known that the accumulation of multiple stressors may lead to disease onset. In fact, an article published in The Lancet in 2004 found that the risk correlation of smoking and heart attack (2.87) was very similar to psychosocial stress (2.67). The Lancet article concluded that smoking and stress can carry almost the same risk for a heart attack! Also, it was determined that stress as a risk factor for heart attack was actually greater than the risk for high blood pressure (2.37) or diabetes (2.37). So what about stress as a risk fac tor for autoimmune disease? Many retrospective studies found that a high proportion (up to 80%) of patients reported uncommon emotional stress before autoimmune disease onset. However, because of the nature of stress, proving that it actually causes autoimmune disease or describing the mechanism of causation is a challenging task. We would have to sort out diet and medications and a multitude of other factors to make this link. However, there have been noncontrolled studies that indicate that childhood traumatic stress increased the likelihood of a diagnosed autoimmune disease decades into adulthood. There is also evidence that stress induced hormones, especially on a chronic basis, may lead to alterations in the immune system. However, our understanding of this process is still limited and treatments are still evolving. So have I convinced you that stress is important? Now, let’s look at what stress is and how it affects us. Stress is defined as the application of pressure, strain or tension. That sounds simple enough, but how we react or respond to our emotions can make a big difference in how we are able to manage a situation. Emotion is an automatic, powerful bias, in our way of thinking. It has evolved to help us survive by interpreting what is pleasurable and what is not. However, it may be so powerful that it is destructive—so destructive that it may trigger autoimmune disease or a heart attack. It is amazing to me that we have made such enormous technological progress that we can put a powerful computer in the palm of our hands or catheterize a heart blood vessel, yet we still understand so little about our emotions and how to regulate them to avoid potentially destructive results. Perhaps this is because of the social stigma associated with mental health issues and a corresponding lack of funding. Perhaps if we had a better understanding of our emotions and better access to mental health care, we would be able to prevent, or at least better manage, certain stress-related diseases. Unfortunately, not only does stress cause disease, but the disease itself also may cause significant stress, resulting in a vicious cycle that magnifies the problem. Stress by itself also may aggravate or cause pain. We know that the areas for emotion and physical pain sit very close to each other in the brain and both areas may be triggered simultaneously during stress, resulting in a mutually enforcing cycle that leads to chronic pain. Furthermore, there is clinical data showing that drugs acting as anti-depressants can be effective pain medications because they can modulate the connection between emotions and pain in the brain. I don’t want to leave readers with a feeling of hopelessness about their ability to control stress and potentially their autoimmune response. There are simple things we can do to help manage stress every day, especially major stress, which may lead to disease. 1. Get plenty of sleep. Lack of sleep may increase the risk for depression, diabetes, obesity, and a host of other health issues. It may be the most important thing we do to help manage our health. 2. Eat a proper diet. The 2015 Dietary Guidelines Advisory Committee identifies that a healthy dietary pattern is higher in vegetables, fruits, whole grains, low- or non-fat dairy, seafood, legumes, and nuts. It also recommend a diet low in red and processed meat, sugar, sweetened foods and drinks, and refined/ processed grains. 3. Drink plenty of water. Our body is 66% water. Water flushes toxins out of vital organs, carries nutrients to your cells, and provides a moist environment for ear, nose and throat tissues. The general rule is to drink eight 8-ounce glasses of fluid a day, which is equivalent to about 1.9 liters per day. 4. Exercise . There are numerous benefits to exercise such as controlling weight (obesity is a cause of inflammation), improving cholesterol, strengthening your immune system, improving your mood, increasing energy by improving oxygen delivery to tissues, and improving sleep. Try to exercise at least 30 minutes, three times a week. 5. Put your priorities in place and manage your time well. Set aside time to excercise and eat properly. 6. Identify destructive types of stress in your life and seek the help of a counselor to better manage it. 7. Do things that you enjoy and la ugh often. Laughter has many unrecognized benefits such as boosting the immune system and reducing dangerous stress hormones in the body.